London: What do we know about the Northumberland Development Project? 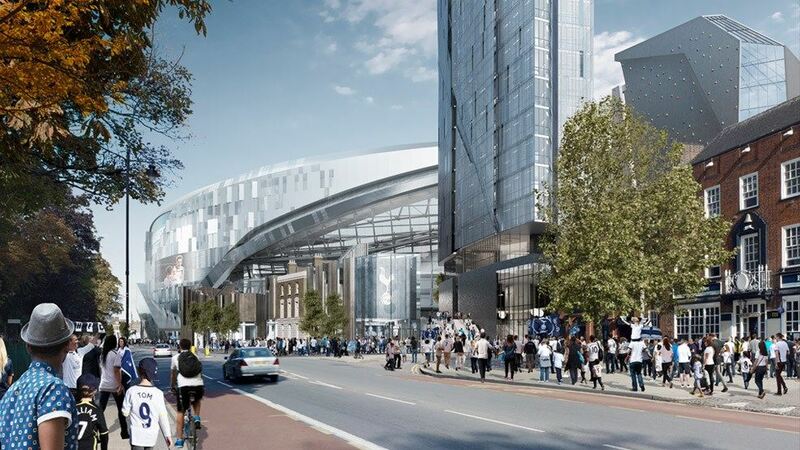 Tottenham Hotspur’s old stadium, White Hart Lane, was demolished after the 2017-18 campaign, and it will soon be replaced with an upgraded and much larger arena which, together with surrounding developments, is currently known as the Northumberland Project. Although the new stadium is almost in the same place, the club have decided to ditch the old name and seek a corporate sponsorship deal. They are eying up suitors in the UAE in an effort to follow in Arsenal and Manchester City’s footsteps. The brand new ground will be open to host matches from the start of the 2018-19 season, and in the meantime Spurs will be playing their home games at Wembley Stadium. It is arguably a bad time for Mauricio Pochettino’s side to be moving to unfamiliar territory, as they enjoyed such a strong season last time out. The Lilywhites finished the league in second place and also featured the top goal scorer, but as of early August, they are outsiders for the Premier League title next term. Football news sites are generally favouring Manchester City to lift the trophy this time out, at odds of around 19/10. The reason why Spurs aren’t expected to challenge is due to their poor record at Wembley in the Champions League last season. Pochettino’s side will certainly be looking forward to moving into their massively improved stadium after the upcoming campaign, and playing at the national stadium first should give them a chance to get used to the larger crowds. White Hart Lane only had a capacity of 36,284, but the new stadium will be able to seat 61,559 people. There is no doubt that the Spurs stadium upgrade is necessary if they want to establish themselves as one of the top clubs in England and Europe. Arsenal and Manchester City have both moved into much grander stadiums in recent years, and the newer locations bring with them higher revenue from ticket sales, sponsorship deals, and advertising. 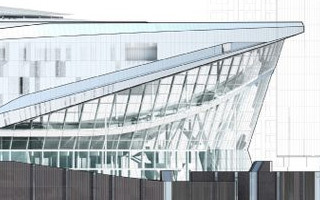 The Northumberland Project was originally designed by KSS Design Group and Buro Happold in 2008, but after the revised stadium plans in 2015 a new design team was revealed. Populous took over the stadium design, while Allies and Morrison drew up the plans for the new homes. Populous is responsible for a great number of stadium builds across a variety of sports. In England they have created the Emirates Stadium, the John Smith’s Stadium, and the Macron Stadium, among others. The new ground itself will cover 20 acres of land, and is bordered by Park Lane to the south, Worcester Avenue to the east, Northumberland Park to the north, and High Road to the west. The official price hasn’t been released but it is estimated that the project has cost around £800 million.